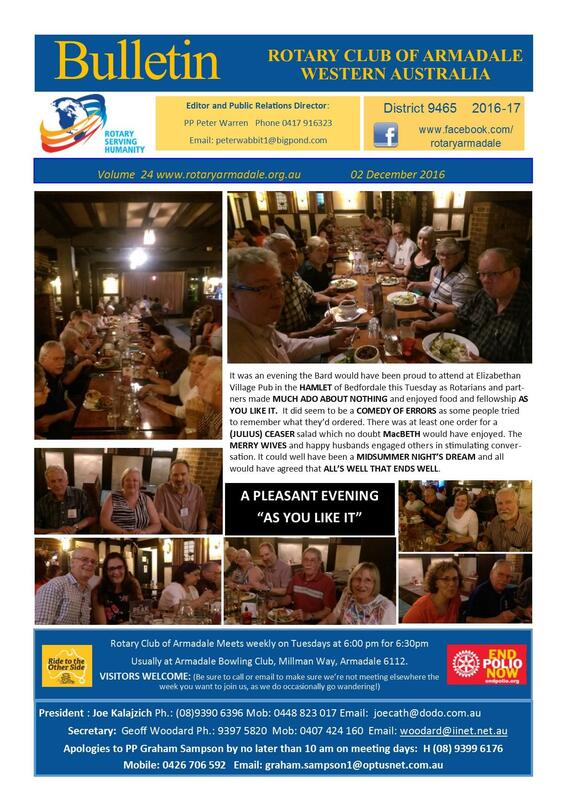 Welcome to Rotary Armadale! Great to have you drop by. The Manse Restaurant was buzzing with the exuberance of youth at our meeting of the Rotary Club of Armadale on 14 November, as three local high school students received their Phil Phillips Incentive Scholarships, one of last year’s awardees received her alumni certificate and another student was announced as the recipient of the Rotary National Youth Science Forum study grant. Each of the worthy recipients had family members present to share their moment of glory and hear them give a short speech about themselves and their dreams. 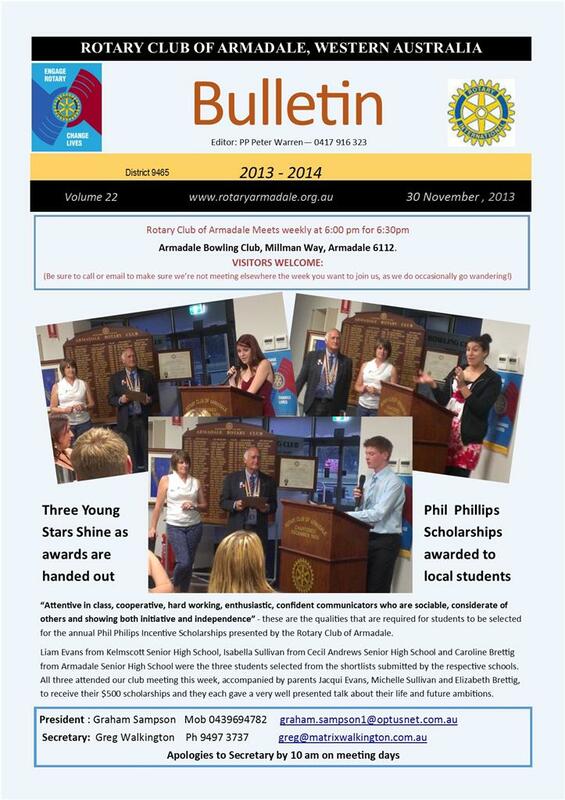 The Phil Phillips Scholarships are made available from a trust fund set up by a former President of the Rotary Club of Armadale. His son, Rotarian Irvin Phillips, also a Past Club President, was delighted to assist in making the presentations. Students are selected from three local high schools, based on various criteria that includes aptitude and attitude. Past President Joe Kalajzich, who is a former local high school Principal, assisted the schools with the selection process. The award is in the form of a grant of $500, which is to be used exclusively for educational needs. 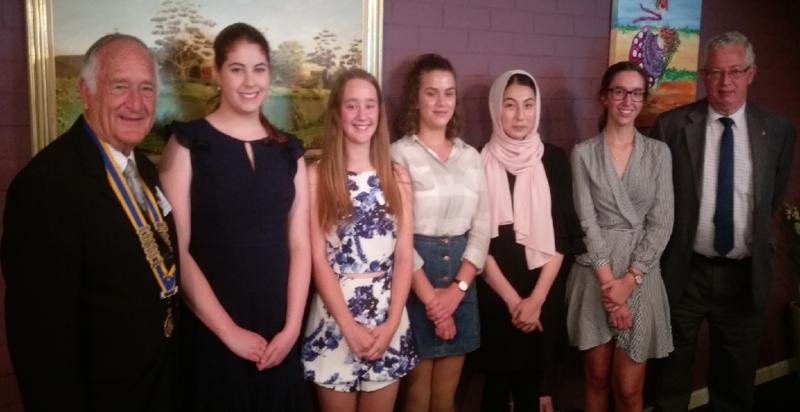 Each student is then invited to attend a dinner meeting of the Rotary Club of Armadale, along with family members, and give a brief talk about themselves and their aspirations. 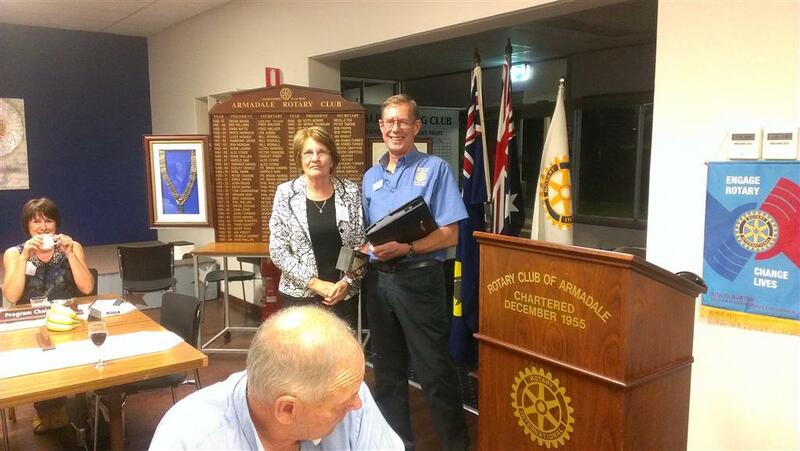 Maryanne says she feels very much at home at the Rotary Club of Armadale. She has been asked to serve on the youth committee. *A recent Sunday Times article reported that Perth is now the nation’s “Sunshine Capital ”, with a long-term annual average of 8.8 hours of sunshine per day. (Ahead of Darwin (8.5) and Brisbane (8.2). Melbourne has only 6.5. 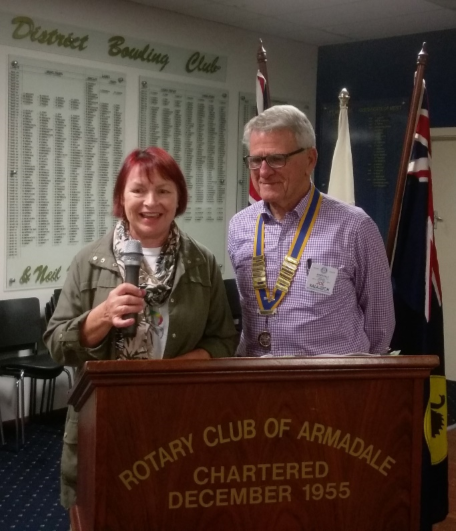 The Rotary Club of Armadale welcomes enquiries from prospective new members, whether transferring from another club or completely new to the Rotary scene. We're a bunch of leaders who love making a positive difference in the world. Why not come and check us out on a Tuesday evening? 6:00pm for 6:30 start at the Armadale Bowling Club in Millman Way. Contact us first though, to make sure we're not meeting somewhere different as we occasionally do. And we need to know numbers for catering. Could you become our newest member? A PLEASANT EVENING "AS YOU LIKE IT"
14,636 kms Around Australia on a Lawnmower! President Craig Alford and the intrepid Ride to the Other Side team have recently returned home after completing the latest leg of their amazing sponsored ride around Australia on a Hustler Super Z ride-on lawnmower. 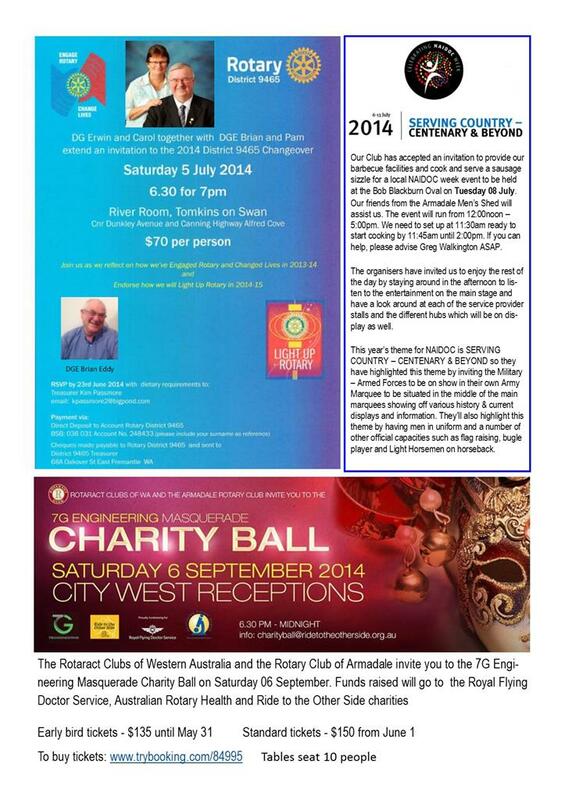 And it's all to raise funds funds for various charities supported by the Rotary Club of Armadale, Western Australia. At the club meeting on Tuesday 26 July, PP Craig gave a most interesting illustrated talk about the Ride with most of his team members also in attendance. District Governor 9465, Linda McLerie and Assistant Governor, Ric Davies, also attended the meeting and congratulated Craig and the team on their amazing efforts. This latest leg of the journey saw Craig riding his lawnmower, along with his support crew, all the way from Katherine in the Northern Territory, across the top to the Kimberley, back down through the Pilbarra and the North West, arriving at Elizabeth Quay in Perth, where they they were met by the Premier and other dignatories, before riding the last 30kms home to Armadale. Up in the Kimberley, the crew experienced some pretty wild weather and Craig had to wear a snorkling mask to combat the extremely heavy rain! The idea for Ride to the Other Side was born while Craig Alford – (Rotary District 9465 Assistant Governor at the time) – was touring Hustler’s US mower plant. (He sells the machines at his Armadale business.) 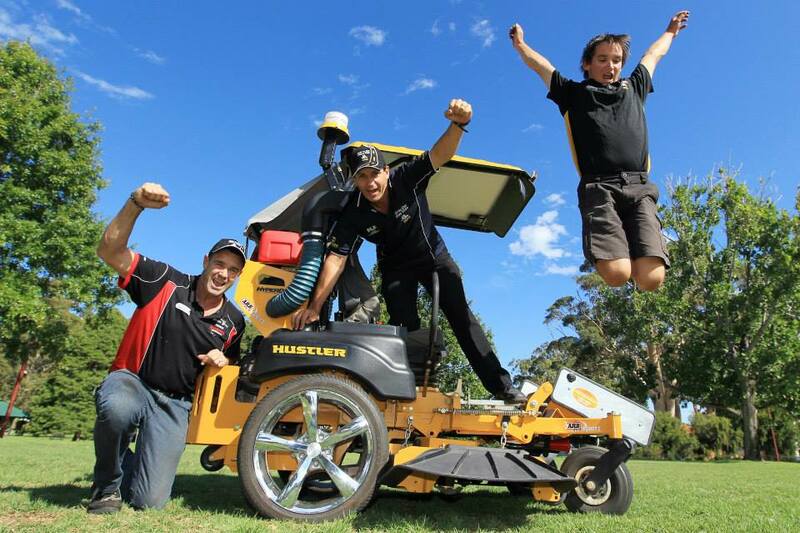 Riding a mower around Australia was certainly a novel way to draw attention to some important causes and raise some money – the goal was $1 million. But it was a pretty serious undertaking. And the mower travelled all that way on one set of tyres until they got a blow-out about 200kms from Perth on the home stretch!. The mower averaged 24 k.p.h with a top speed being reached of 39.1 k.p.h. 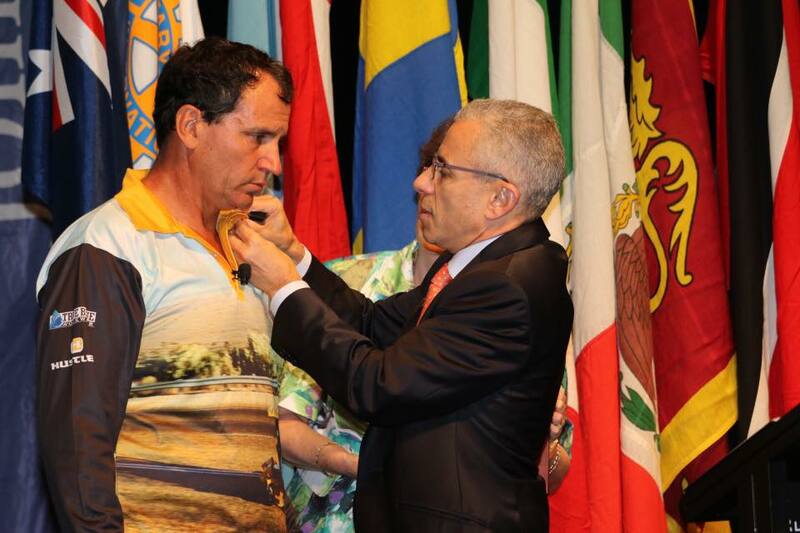 It's a tremendous achievement that Craig's fellow Rotarians agree is worthy of the strongest accolades. 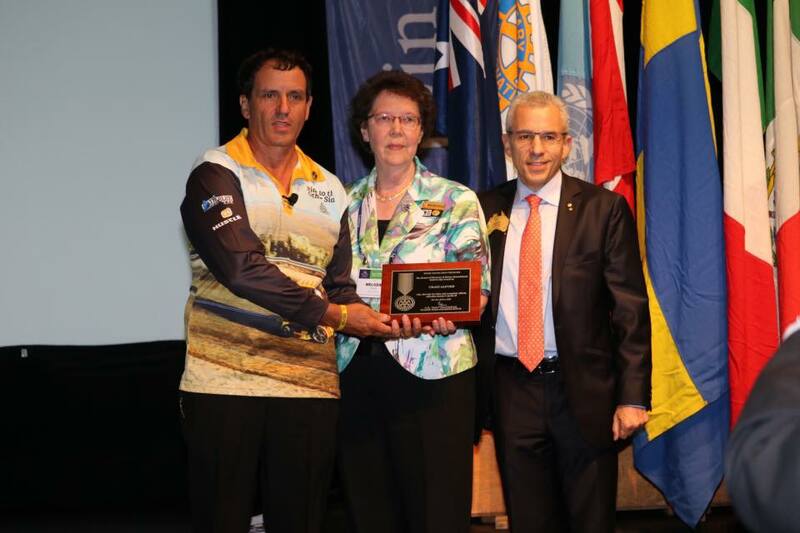 Past President, Craig Alford was taken by surprise at last weekend’s District 9456 Conference in Bunbury when he was presented with the Rotary International Service Above Self award by RI President’s Representative Garry Browne and District Governor, Melodie Kevan. There are only 100 such awards presented globally each year. 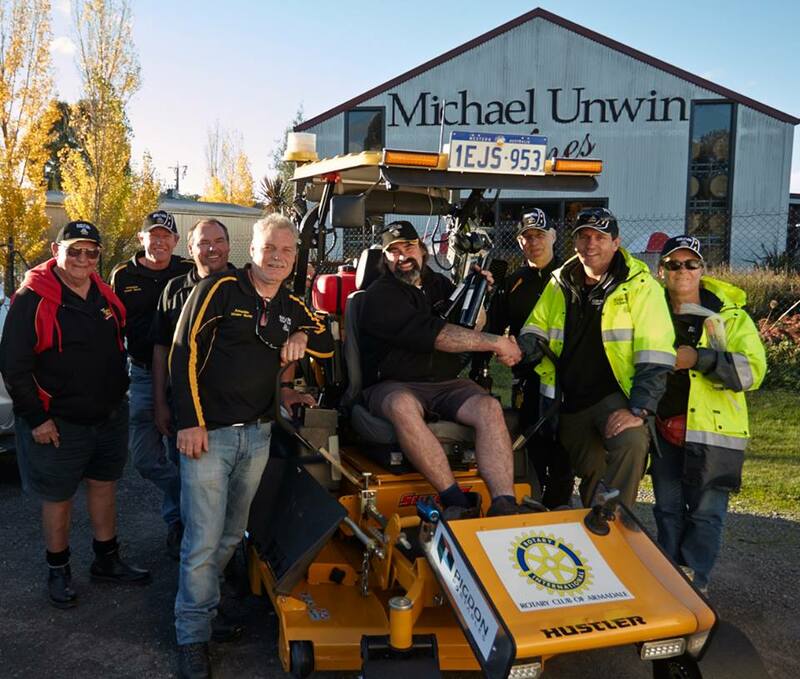 Craig was recognised for the huge contribution he has made to the Rotary Foundation and several charities through his fundraising efforts riding his Hustler Super Z lawnmower around Australia. Craig quickly acknowledged that he couldn’t have done it without the huge backing of his dedicated support team. Over $300, 000 has so far been raised through the Ride. Craig, supported by several of his team members, rode the ride-on mower up onto the stage at Bunbury Recreation Centre, the Conference venue. He had just ridden the mower from Armadale to Bunbury in support of bushfire victims in the Waroona/Yarloop/Harvey area. He had planned the grand entry as a surprise for conference attendees but received a bigger surprise himself when presented with the Service Above Self Award. 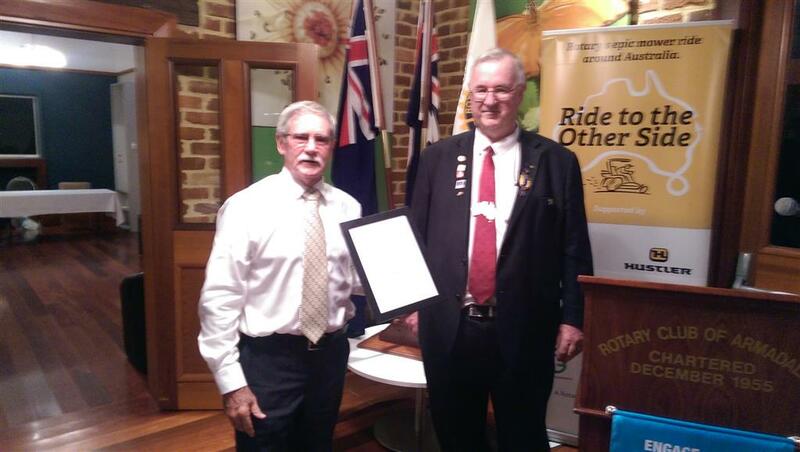 en by surprise at last weekend’s District 9456 Conference in Bunbury when he was presented with the Rotary International Service Above Self award by RI President’s Representative Garry Browne and District Governor, Melodie Kevan. There are only 100 such awards presented globally each year. When Melodie Kevan first enquired about joining Rotary there were very few clubs that had female members and applying to join was quite a long-winded process of proving one’s eligibility. Some twenty-two years later she is the Governor of District 9465 and there’s hardly a day goes by that she’s not visiting a Rotary Club within the district, attending a Rotary function somewhere in the world or answering numerous phone calls and email messages. She’s also an avid Facebook user, promoting Rotary’s many avenues of service. Never a dull moment for Melodie. 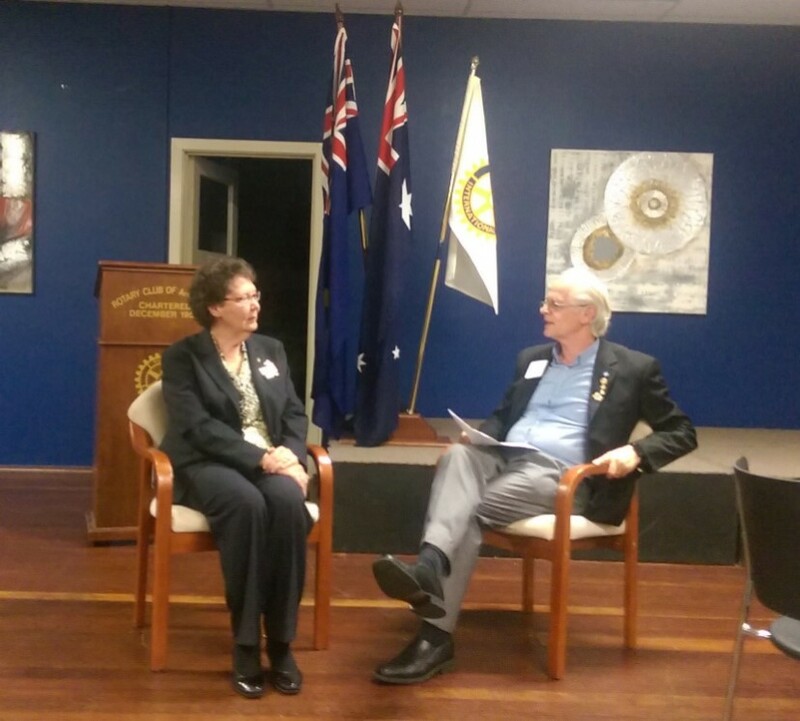 This week, DG Melodie was the special guest of the Rotary Club of Armadale and enjoyed a chat-style interview with Past President Peter Warren, as she shared various aspects of her Rotary journey and what it’s like to take on the role of District Governor. Melodie is a long-standing member of the Rotary Club of Applecross, where she has held many leadership responsibilities, including, of course, Club President. Throughout her journey through the stages of District Governor-Nominee, then District Governor-Elect and now District Governor, Melodie has been accompanied and greatly encouraged by her husband, Past District Governor, John Kevan. Together, they travel some amazing distances across the metropolitan area, across Western Australia and sometimes interstate and overseas. Although there are certain monetary allowances afforded to a District Governor, Melodie typically covers the shortfall from her own resources. Despite their extremely busy schedule, Melodie and John still enjoy some quality time with their grandchildren and they often host visiting Rotarians from around the world. They have made very many quality friendships through Rotary and enjoyed staying with fellow Rotarians when visiting other countries When asked who her favourite hero was, Melodie suggested her own grandmother would qualify for that accolade. The District Governor is keen to see clubs going the extra mile to recruit new members and would especially love to see more women joining Rotary, as they have so much to contribute. 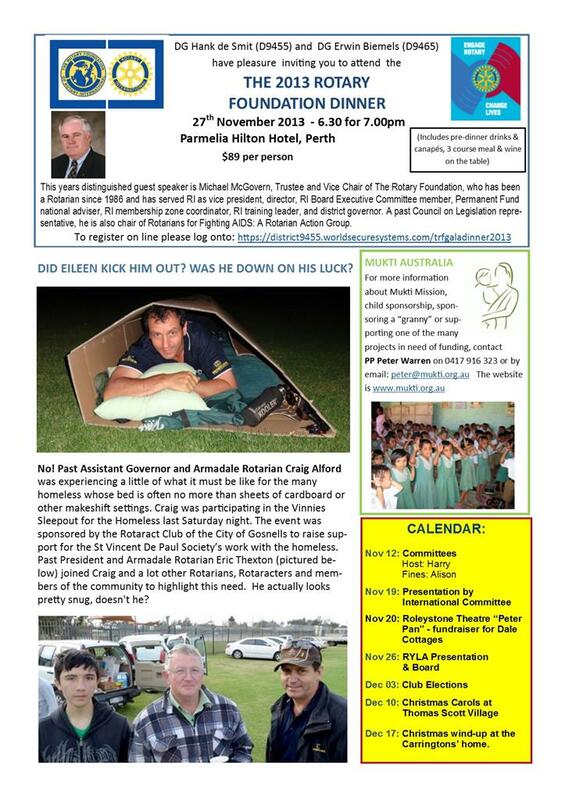 She encouraged the club to send a good representation to the Rotary in WA Membership Forum at Alfred Cove on Sunday 01 November (see notice on page 3). Melodie also loves to see younger generations getting involved through Rotaract, Interact and programmes such as Rotary Youth Leadership Awards (RYLA), Rotary Youth Programme of Enrichment (RYPEN) and Youth Science Awards. 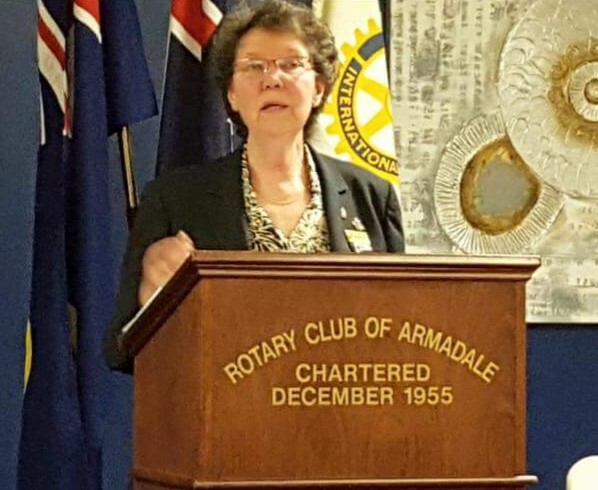 Following the armchair interview, DG Melodie spent some time reviewing the club’s annual checklist of activities and congratulating President Gail and members on the wide range of community and humanitarian projects that the Rotary Club of Armadale is involved in. She was delighted that we had recently admitted two new members and that we have a strong public presence through various events and online. Melodie made special mention of the great work done by Past President Jeff Cairns and Rotarian Eileen Alford in coordinating the BowelScan programme that has had a huge impact across the district and probably saved many lives. She also made special mention of Past President Craig and his Ride to the Other Side team, which has generated great publicity and raised significant funds for Rotary and other worthy charities.Members enjoyed the opportunity to ask questions of Melodie and give some feedback. 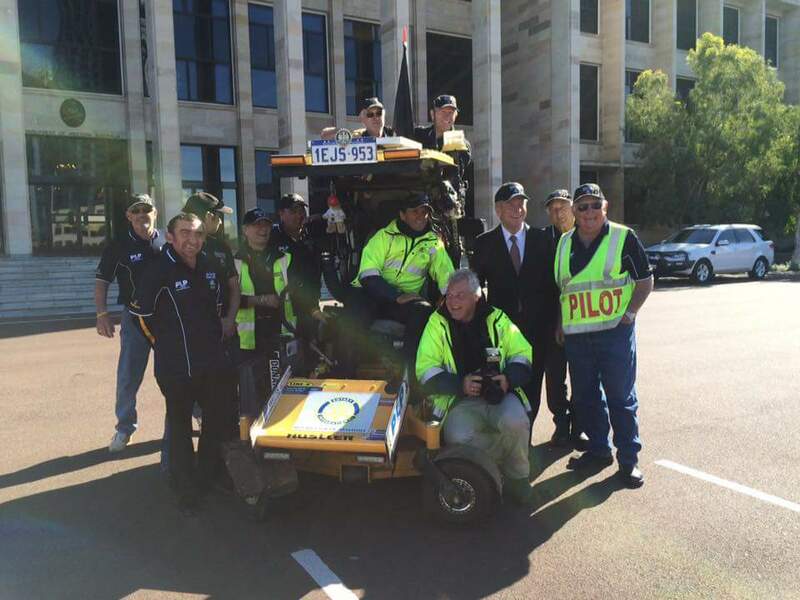 President Craig Alford and his crew are getting ready to drive a ride-on lawnmower on the next leg across Australia. This next section will cover 5300 kms through New South Wales to Darwin via Brisbane & Townsville, finishing up at the Beer Can Regatta. And it's all to raise much-needed funds for Charity. The ride, which commenced with the Armadale WA to Kalgoorlie leg in 2102, raises awareness and funds for Australian Rotary Health's mental health research and the Royal Flying Doctor Service. In 2013 the team rode 2200 kms over 11 days from Kalgoorlie to Adelaide, then 2300 Kms from Adelaide to Sydney in 2014 over 22 days. The ultimate goal is to raise $1 million for these charities over the entire journey around Australia. 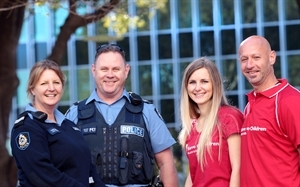 An international children’s charity and the WA Police are working together to reduce juvenile crime in the Armadale region, with a special emphasis on helping local aboriginal young people to turn their lives around. Our guest speaker this week gave a very articulate, informative and passionate talk about the “Strong Tomorrow” programme, which is making a real difference in our community. Karina Chicote is the Youth Programme Coordinator (Perth Metropolitan) for Save The Children Australia and is a great advocate for the cause. She was accompanied at our meeting by Save the Children’s Business Development Consultant, Tony McManus. “Strong Tomorrow” is a secondary intervention programme. Save the Children works in collaboration with local Youth Crime Prevention Officers (YCIOs) to support young offenders to reduce offending, through addressing the underlying social and environmental issues that lead to crime, marginalisation and victimisation, through mentoring and intensive support. Juvenile crime is not only costly to the community but to young lives caught up in it. “Strong Tomorrow” helps the young people develop life skills and cultural values. Sadly, there is a very strong over-representation of Aboriginal youth in Western Australia’s crime scene, with 75% of juvenile youth in detention being of Aboriginal background—and 20% of these are from the Armadale area. So programmes like “Strong Tomorrow” need to receive ongoing funding to turn the tide. The programme has a very impressive success rate. One example cited was that of a young boy who went from 22 offences prior to involvement in the programme to no offences following. Others had an 85% reduction in offences. 100% of participants say that the programme has helped them. An initial Government grant of $25,000 has demonstratively saved the Government $140,000 that would have been incurred through crimes that are not being committed as a result of the intervention. Save the Children are digging into their own funds to maintain the programme. Members and friends of Rotary are encouraged to canvas politicians and people of influence with a view to a further grant being made to keep “Strong Tomorrow” up and running. On the same day that news broke of the tragic untimely death of actor and comedian, Robin Williams, who suffered from depression, our guest speaker this week, Antonia Bordoni gave an inspiring and passionate presentation about the organisation that specializes in helping young people facing the pressures of life. 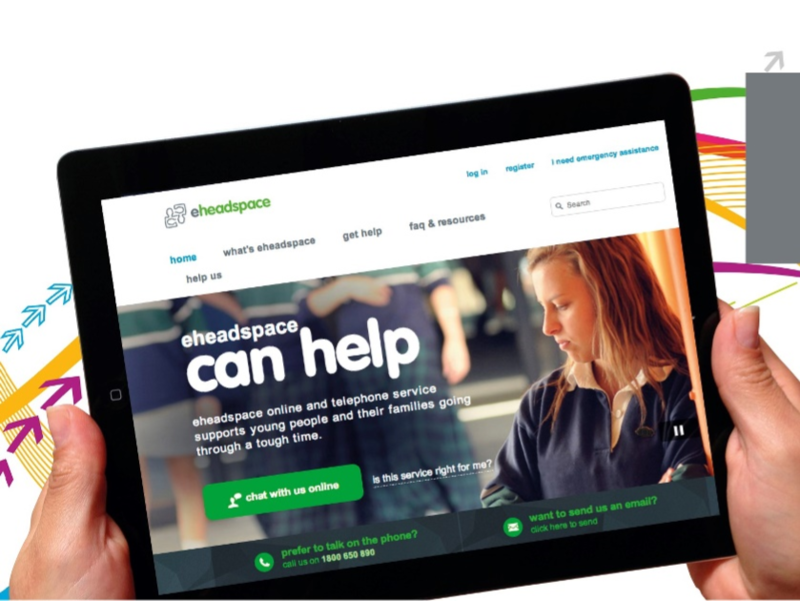 Headspace is a community-based organisation providing a comprehensive range of help for young people facing mental health and other health issues, online, by phone and face-to-face. Headspace centres across Australia provide information, support and services to young people aged 12 to 25 years and their families. Headspace Centres are scattered across Australia with 55 of them open to young people. Antonia represents the Fremantle branch of Headspace and is a wonderful advocate for this much-needed community service. She regularly gives talks in schools , sometimes five times a week, and loves sharing about Headspace at service clubs and community groups. 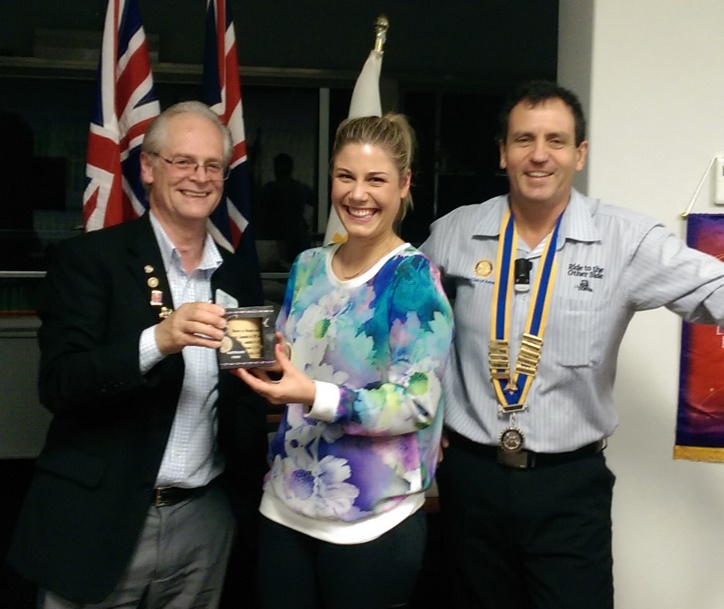 She was a guest speaker at the Rotary District 9465 conference in Mandurah earlier this year and is happy to be guest speaker at any Rotary Club. Headspace are hoping to open a branch in Armadale in the near future, subject to funding and other criteria. There’s no doubt that our community would greatly benefit from such a service. Issues faced by young people, for which they can receive counselling and referrals to appropriate professional help, include mental health issues, drug and alcohol addiction, sexual health issues, contraception advice, bullying, relationship problems, problems at school or tertiary education centres, physical & sexual abuse, financial or budgeting problems—and more. eheadspace is a confidential free and secure service for young people 12-25 yrs of age and their families and friends. It offers online chat, email or phone services 9:00am to 1:00am, 7 days a week with qualified youth mental health professionals. Callback is available for those using a mobile phone. Families, carers and friends can make an appointment for a young person with their consent. To do so phone (08) 9 335 6333 with them to arrange an appointment. Workers from schools, health or community organisations can refer to headspace Fremantle can make an appointment for a young person with their consent. To do so phone (08) 9 335 6333 with them to arrange an appointment. Young People under the age of 16 must have parental consent. The young person MUST consent to the referral. 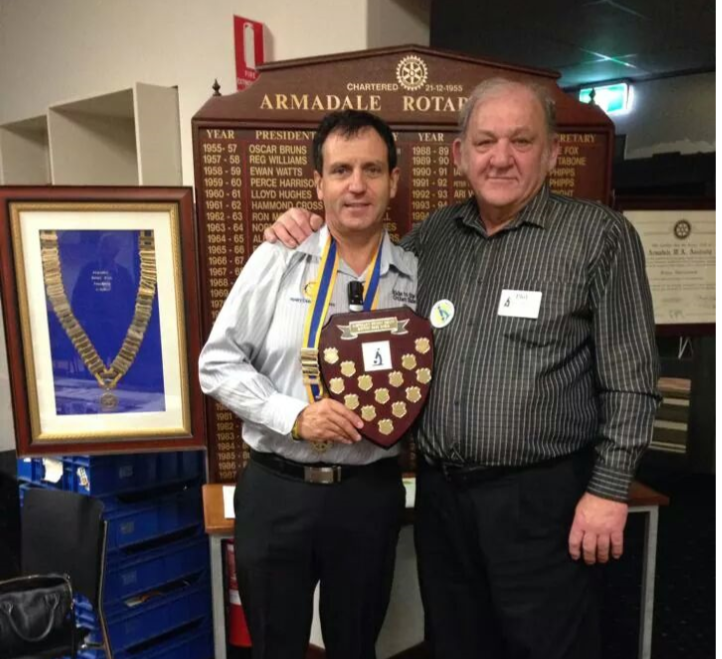 Past District Governor, Phil Cordery made a special visit to our club meeting on 12 August to to present the Annual District Australian Rotary Health Trophy , which President Craig Alford received on behalf of the club. 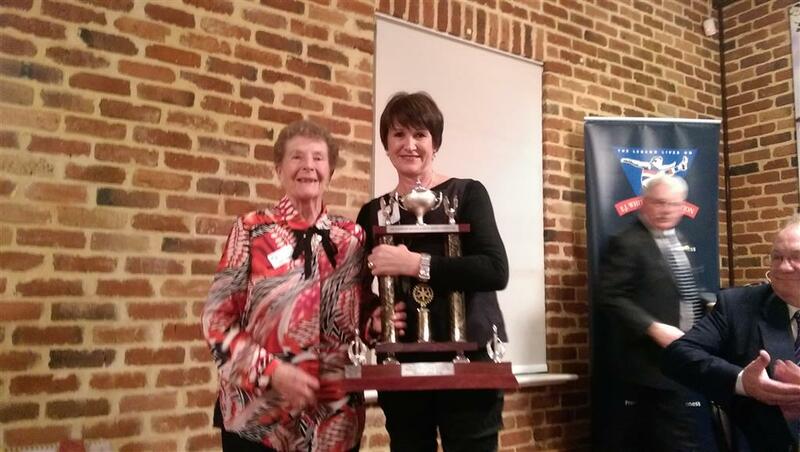 The award is presented to the club that has made the highest donation per capita to Australian Rotary Health. Our Annual Golf Day and the Ride to the Other Side, have been major contributors to this effort, as well as the generosity of individual members. 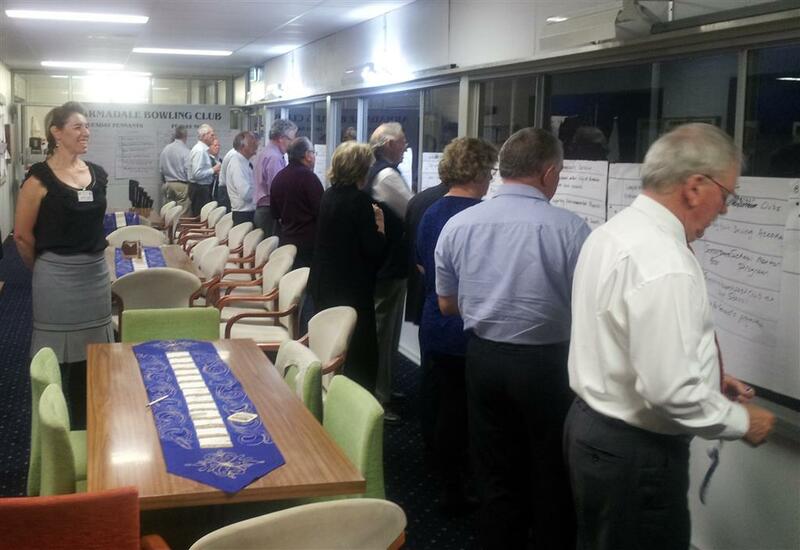 Australian Rotary Health provides funding into four focus areas and promotes findings to the community. These are Mental Health Research, General Health Research, Indigenous Health Scholarships and Rural Medical & Nursing Scholarships. 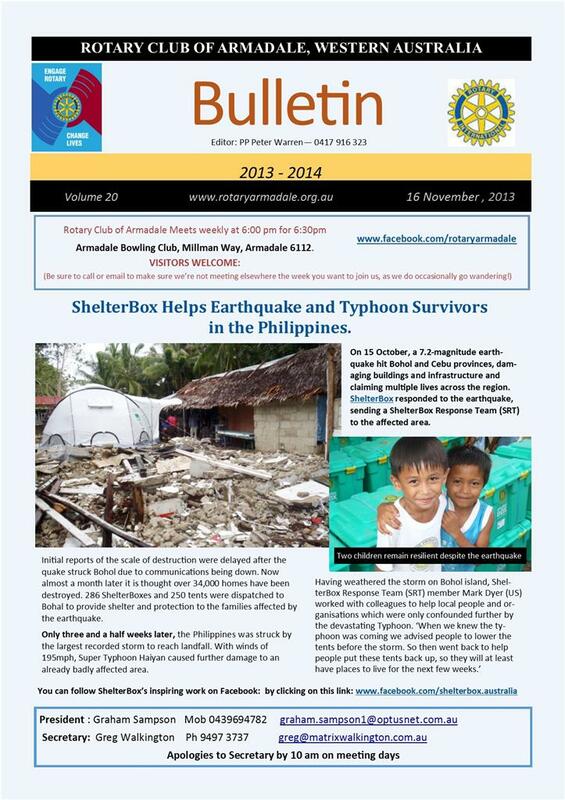 PDG Phil has been a Director of Australian Rotary Health since 2011. He is Chairman of two district programmes and has a Paul Harris Fellow with three sapphires. Changeover Night With Plenty To Celebrate! 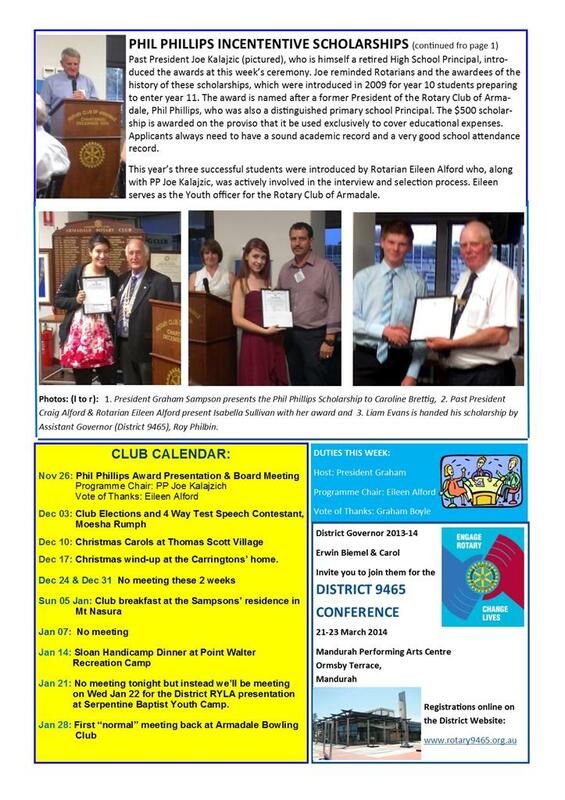 As the Rotary Club of Armadale closed out the 2013-14 Rotary year and welcomed in the 2014-15 year, there were plenty of great achievements to celebrate. 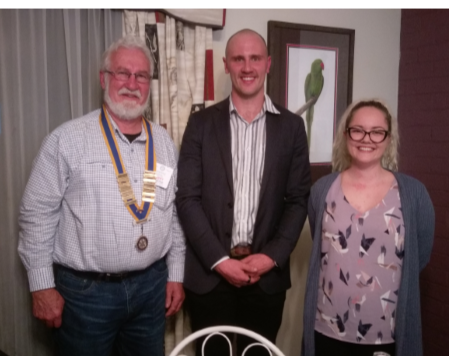 District Governor, Erwin Biemel and Assistant Governor, Roy Philbin were delighted to hand a number of prestigious awards to outgoing President Graham Sampson and some awesome Rotarians and guests. DG Erwin took great delight in presenting President Graham with a Presidential citation for the club's many achievements over the past year. Past District Governor, Terry Barritt and Mrs Joan Barritt were presented with some very prestigious awards from the Rotary Foundation for outstanding achievement and contributions to the Foundation. Incoming President, Craig Alford, was recognised for his amazing contribution to the Foundation and other very worthy charities as leader of the Ride-To-The-Other-Side team. Rotarian Ray Heather, our club's International Director, received a Paul Harris Fellow award for his tireless work on various international humanitarian projects and Honorary Rotarian, Margaret Heather received a Paul Harris Fellow award for her work on training teachers of English as a second language in West Timor. 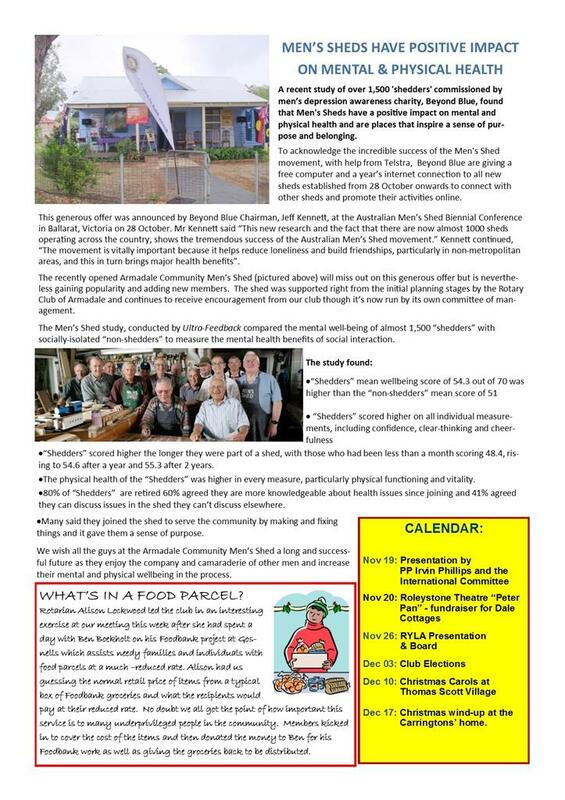 The Secretary of the Armadale Men's Shed, Ian Stevenson also received a Paul Harris Fellow award for his dedicated commitment to the Men's Shed and his wonderful support to our club on various community outreach programmes. And Rotarian Eileen Alford was President Graham's choice to receive the annual Warwick Savage-Keith Marsh Award for her outstanding contribution to so many of our club programmes. Mrs Nancy Marsh was delighted to be asked to present this award in honour of the late Past President Keith Marsh. 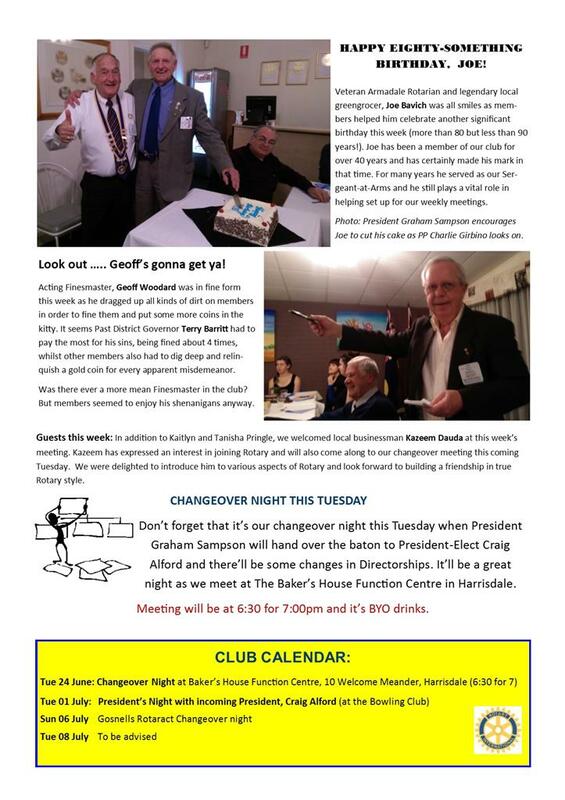 Lots more information about changeover night to come in the weekly bulletin. The youth division of Rotary International known as Interact has good prospects of being started up at one our local high schools according to Rotarian Ron Mildenhall, who is District Chair of Interact. Ron was our guest speaker this week and he gave a very enthusiastic & informative talk about the aims and purposes of Interact clubs. Ron was certainly a great speaker to have when the PA system decided not to work, as he has a great ability to project his voice and keep everyone’s attention. And he certainly did that. His talk was complimented by a PowerPoint presentation as he led us through what might be involved if we as a club decide to sponsor an Interact club. We also were delighted to have two special guests who have a keen interest in getting a local Interact club up and running. They were Claudia Jacob, Head of English Department at Kelmscott Senior High School and Elizabeth Singe, an ESL* teacher and member of the Rotary Club of Willetton. (*ESL = English as a second language). Ron’s presentation included some very interesting examples of Interact Clubs around the world and how they often take on amazing community projects. Clubs are encouraged to take on one local project and one international project each year. Each Interact Club needs to be sponsored by a local Rotary Club and that takes a fair commitment from at least one but ideally two Rotarians to attend Interact meetings and act as mentors. Interact Clubs are encouraged to develop their own style within certain guidelines. There is certainly an emphasis on having fun whilst developing good communication and service skills. Ideally, a new Interact Club needs a minimum of 12 students to make it viable and as it grows, a core group of 8 to 10 to get things done - much like a Rotary Club. A collaborative approach with more than one Rotary Club involved is worth considering to minimise set-up costs and maximise opportunities. As District Chair of Interact, Ron is available to assist at any time and answer questions. Programme Chair for the evening was Rotarian Eileen Alford and the vote of thanks was given by Rotarian Gail Sampson.